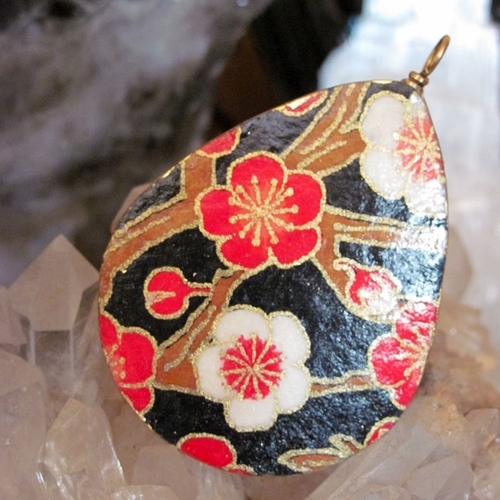 Get creative with authentic Japanese Yuzen paper. Each color and metallic gold highlight of this amazing paper is hand silkscreened onto a high-quality kozo base. This red and black Prosperity pattern was inspired by Japanese Kimono fabrics and artistically applied to paper with traditional Japanese paper making and printing techniques. 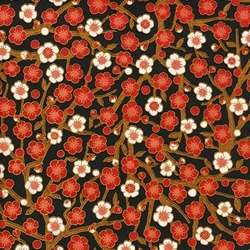 This Japanese Chiyogami Paper spotlights bright red flowers against a black background. This traditional style of Yuzen Paper is hand silkscreened onto a high content Kozo base providing durability and flexibility. The colors are applied with pigmented ink which resists fading making this an ideal paper for any art or craft application. The uses for Chiyogami (Yuzen) Paper are endless. Originally used for paper dolls, decoration of tins and boxes, Yuzen Paper has now found its way into a variety of arts and crafts. *Image used with permission from Karlynn Johnson. *Image used with permission from Walter Oppenheimer. 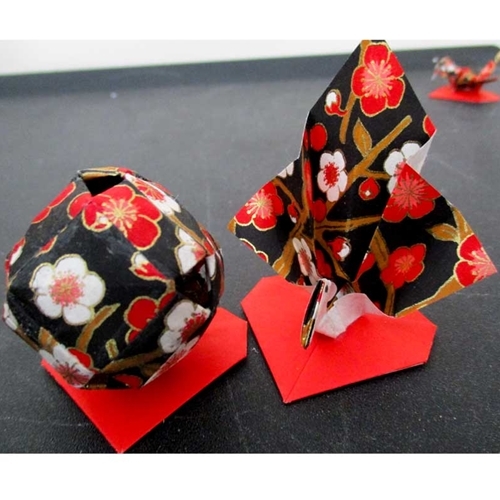 Walter Oppenheimer creates unique origami sculptures using Yuzen Chiyogami paper because of its flexible but durable properties.